Now I know why, in a game, you’ll often be right next to interesting-looking spaces you can’t get to. Why can’t I go over and explore it? There’s a very detailed area where the player can explore. Here you’ll get real doorknobs and window frames and pipes, 3-d trees, and all the hidden triggers that make the level work, like working doors and ladders. Just outside it is areas you can see into, but can’t get to. Because they’re close, they have to be pretty well rendered, though of course nothing will be interactive. Outside that is a land of increasing fakery. Here the architectural details are likely to be part of the texture, and for any object, only the sides facing the player need to exist. Even farther out, you get the skybox. 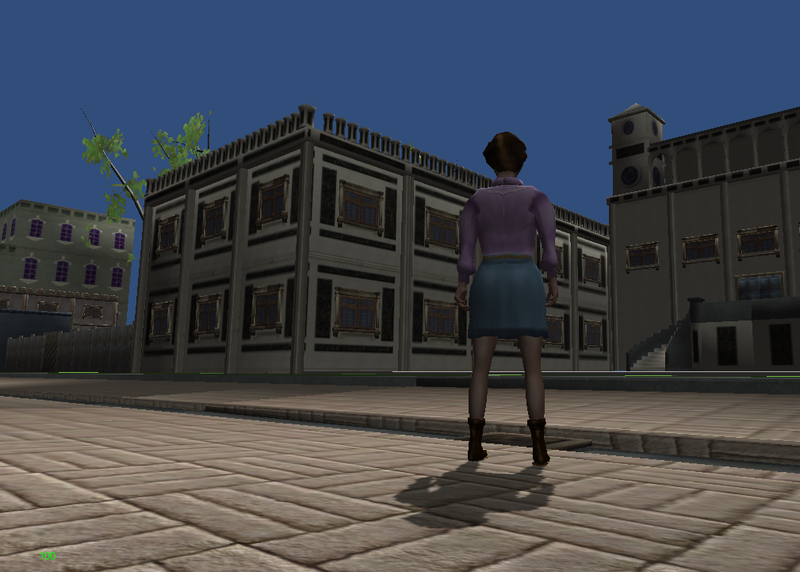 In Hammer you can have objects there, coarsely modeled, so you can see far into the distance. At this point you model a tree by pasting a picture of a tree on a transparent quad, and far details like clouds may also be 2-d pictures. You can’t get into those nice nearby areas because it’d get too close to the fakery zone, and the illusion would be spoiled. The level designer may need to put a lot of work into inaccessible areas, but they’ll only work enough to make it look good from the accessible one. Ticai can wander just the four city blocks in the middle of the picture. You can see that the modeling gets simpler outside this region, and even within it there’s some fakery– e.g. there’s no need to create roofs for buildings if there’s nowhere she can get high enough to see them. You can see the map of the Nezi neighborhood, which I’m using for reference. 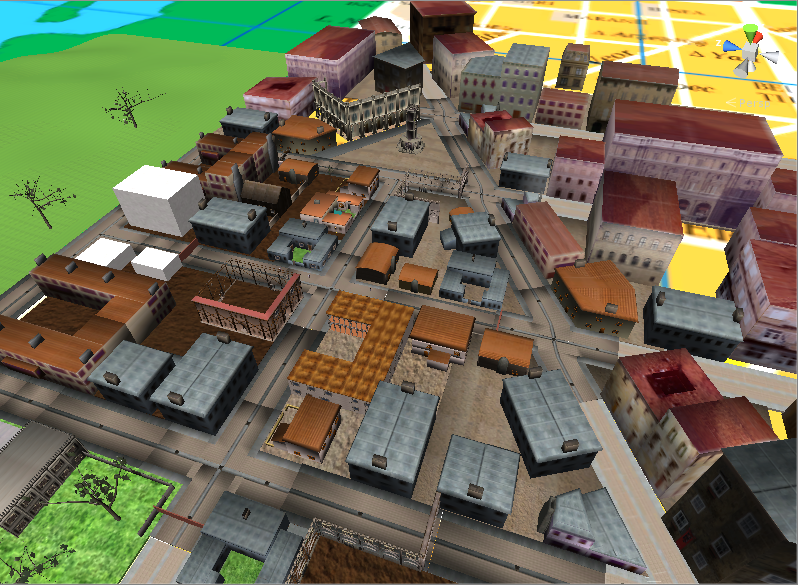 Just to make those four accessible blocks, I’ve had to model about a third of the neighborhood, and I’m not done yet. I just redid the mansion this week– before the façade was basically a box with nice windows. You can also see a tree– Unity has a tree creator, which is good, because foliage is awful to model.